1. 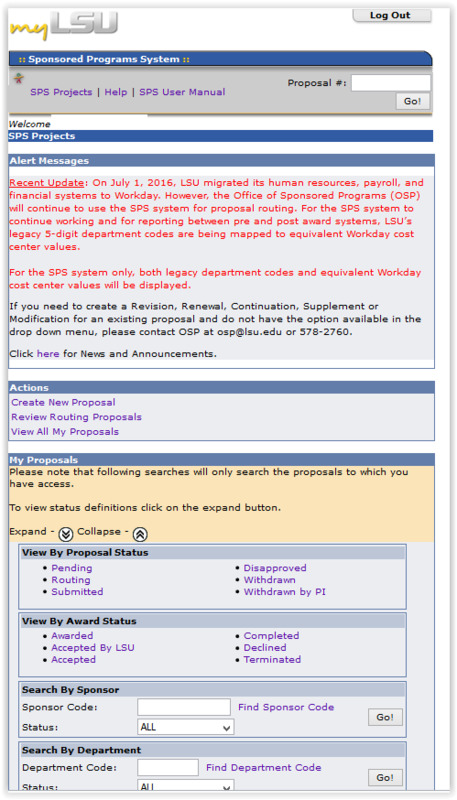 Log into myLSU Portal. 2. 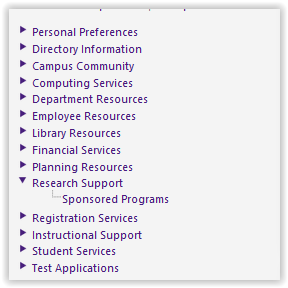 On the left hand side panel, expand Research Support and click on Sponsored Programs. 3. You are now on the Sponsored Programs System screen.